Before I began my career in human resources, I worked in retail managing ten associates and five managers for a large store in Orlando, FL and would often find transferees (after having worked for the company for several months) unable to complete a task that he or she should have been trained on long ago. Their responses were: “I do not know how to do that task”, “Nobody has trained me on this procedure” or “My supervisor never seems to want to show me new skills”. This occurs too many times in job environments regardless of the industry. Organizations that have not created structured training and development programs risk creating chaos and distrust within their workforce. Employees today value career-relevant skills, supervisors and managers who take the time to train them, as well as organizations that emphasize training and development for their current job and for a future role. Organizations must build and cultivate a program to train new hires, mid-level employees, and upper management to win the competition for top talent. The concept of training should not be limited to providing reading material for employees on processes, workplace templates, showing them one time, or having them figure it out on their own. Training involves communication and dialogue between the employee and the trainer. Regular follow-ups have to be given. Human resources’ value is recognized a lot more in today’s global economy than in the past. Training and development of staff is a factor when employees are making their employment decision. In 2016, you would think that employees would not say they did not receive any training in their current roles. Well guess again. According to Accenture’s 2014 College Graduate Employment Survey, 52 percent of respondents who graduated between 2012 and 2013 were hired for jobs where they did not receive any formal training, although it did not state what type of organization the graduates joined—corporations, small businesses, partnerships. Regardless of the organizational structure, policies and procedures must be in place to ensure that an employee is given the knowledge and time to learn to perform their jobs. Why would employers not provide training to their workforce? This is a problem that affects organizations no matter how large or small. So why is it so hard for employers to set aside time to train their staff? Time: Workers have to accomplish organizational goals and projects throughout their workday. New items get added to staff’s to-do list, last minute meetings, deadlines; all these items discourage time for training and learning. Cost: If it involves formal training (e.g. university programs, consultants, MBA programs, off-site trainings), all these can be costly. Too often, CEOs and upper management cannot see the return on investment (ROI) value in this form of training and development and may want to find another (often less effective) way to train staff. Attrition: Employees enter and leave organizations throughout the year. This is a common part of the workplace. When management is addressing tasks that generate revenue, they do not feel they should spend dollars or shift resources to train employees. 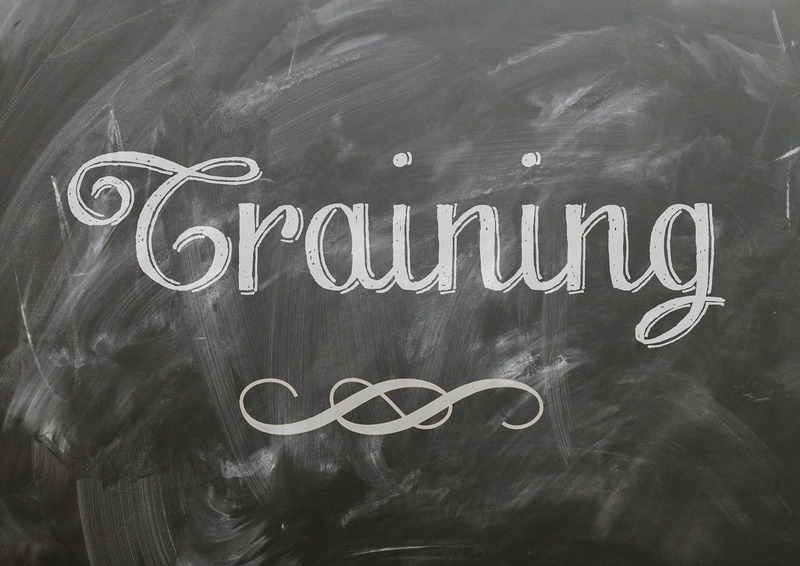 Training allows employees to be productive, develop their skills, helps them understand how their role impacts the organization, and begins the process of development for their future roles with the company. What happens when training is not given to employees? Performance Issues/Lack of Production: Performance of the employee will be lower if the employee does not know enough to perform their jobs confidently. Often times, untrained employees will spend considerable time asking for help from coworkers. As a manager, I have also seen some employees will not say anything and try and complete the tasks to the best of their understanding but to the harm of the company. Unsatisfied Employees: I believe most employees are interested in performing their jobs at a high level. Employees look to enter a new organization with a sense of gratification for a job done well and aspire to advance. When training does not occur, employees have little to no knowledge on how to properly perform their roles. If employees do not understand their task as an entry-level employee, how are they going to learn new tasks and flourish in an advanced position? The result is low morale among workers. Eventually, they are out the door, looking for another opportunity. If they do stay, unsatisfied employees can be a toxic cancer for your company regarding recruitment, retention, and organizational culture. Unsafe Work Environment: OSHA, OSHA, and OSHA; need I say more? The Occupational Safety and Health Administration punishes companies severely if a work related accident occurs and lack of training is part of the cause. In industries where equipment and safety are important, the consequences can be severe – even fatal. There have been many work-related accidents that have caused fatalities involving heavy-duty machinery, hazardous materials, or improper work behavior due to lack of company guidance. The punitive damages can cripple a small business. Under the Top 10 fines for small companies list for 2013, Training Requirements and Training were numbers eight and nine on the list for fines. It is not worth the risk to have untrained staff working. Increased Expenses: Untrained employees will make more errors, cause injuries, reduced production and efficiency, defective products, incorrect services, and going over project budget costs. Oh, did I forget to mention the liability of defending your organization against lawsuits? Loss of Clients: A lack of training for an employee will not produce high-quality services and products. This will result in longer production/service times, upset customers, and eventually they will stop using your company, thus affecting your sales. The worst part is that your former customer will be now using one of your competitors. Being unprepared and overwhelmed is one of the worst feelings an employee can face inside the workplace. By properly equipping your employees with the tools they need to succeed, you are setting up your organization for success. ABOUT CATMEDIA CATMEDIA is a certified Woman-Owned Small Business (WOSB) firm based in Atlanta. The firm’s trademarked communications process, CATVANTAGE™, enables the team to deliver customized solutions to meet client needs in creative services, strategic communications, training and eLearning programs, and program management. For more information about CATMEDIA, visit CATMEDIA.com.